Y'all know how we Leighton Ladies L-O-V-E our big, Texas hair! To achieve that "height," we use hot rollers and velcro rollers. 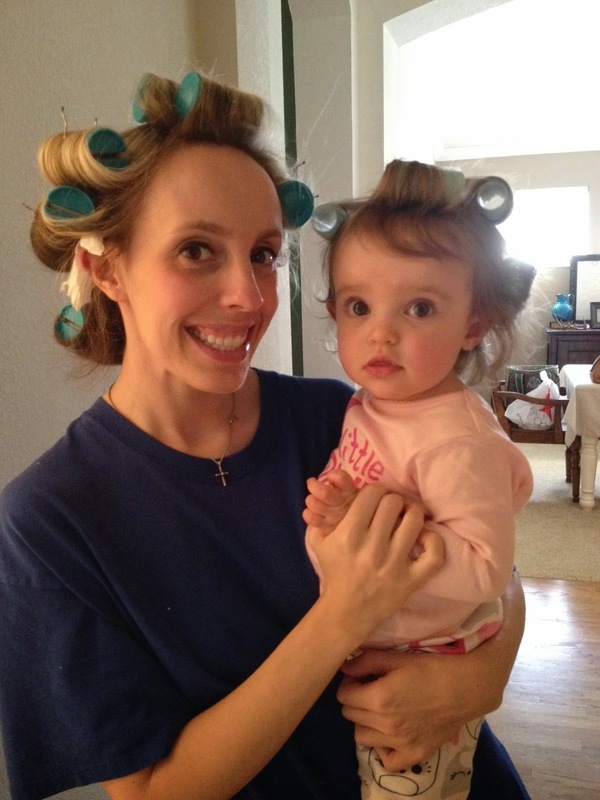 Last week, when Grammy was visiting, my Little Leighton decided she needed some added volume to her locks and wanted to wear rollers (the velcro variety -- for obvious reasons) like her M'am (that's what she's taken to calling ELC and it positively cracks us up) and Mama. (Why, yes, that IS a wadded up Kleenex behind my ear. You're never too small for BIG hair, right?